After knowing types and what we can do with grilles install in our home or shop, we can now consider about the materials. 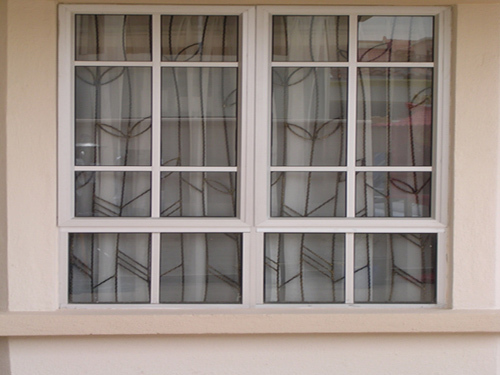 As we can see in Malaysia, most of the houses are installed with iron grilles on windows and door. Actually, there are three main types of steel grilles in the market for selection: mild steel, wrought iron, and stainless steel. Each of the materials has different advantages to meet your needs. Mild steel grilles usually come with simple design, such as straight bars, or square grids with minimal fancy design. There are two type of additional process to the grilles. Spray painted need maintenance by repaint it every 2 to 3 years due to the weather in Malaysia. For powder coated, the grilles will place into oven after spray painted to make sure the paint is permanently stayed on grille surface. A long lasting and climate resistant quality smooth surface created then. Wrought iron grilles are more popular this day. It actually mild steel grilles which do extra hammering process. That is why we can saw uneven texture on the surface. It gained a lot of popularity because there is variety of design available compared to mild steel. Besides that, wrought iron grilles will not tarnish easily. The price of grilles depends on the design too. 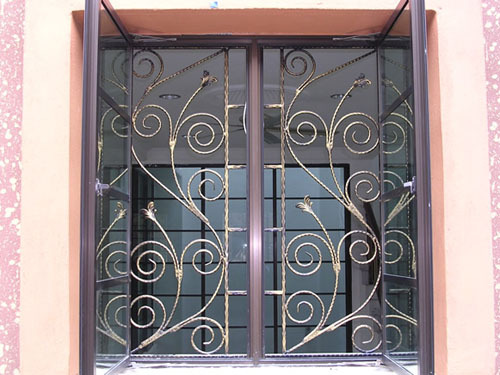 However, wrought iron grilles are thinner than mild steel grilles to create more shape design. The toughness is reduce and easy to saw through. This is the most expensive materials to make a grille. Stainless steel grilles are very strong and do not tarnish. They only colour of stainless steel grilles is silver and the design are limited. 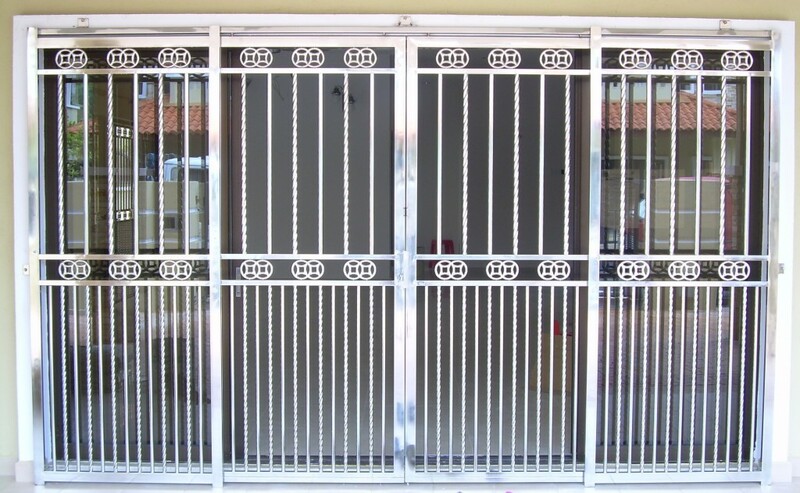 Choose the grilles according to the purpose and security level, but not only the attractiveness. Posted in Grilles and Shutters. Tags: grilles materials on June 27, 2014 by Simple Internet.